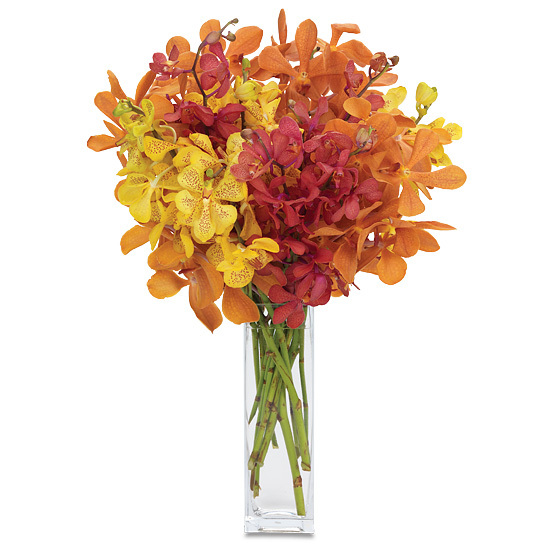 Inspired by fall’s fiery foliage, this quintessential design enriches homes with vibrancy and warmth. 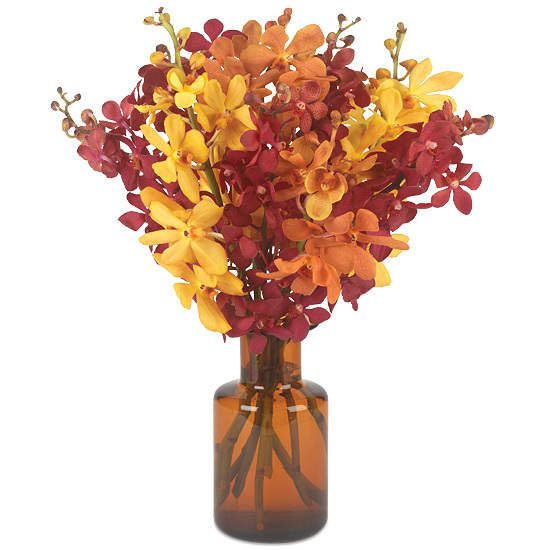 The dense seasonal blend of Ruby Red mokaras, Twilight orange mokaras and Yellow mokaras are displayed here in our vintage-inspired glass vase defined by a stunning amber hue. Did you know we offer a Year of Orchids in 3, 6 and 12-month instalments?